Teachers and school service personnel “cooling off” outside the Senate Chamber on Wednesday, at day after an “end” to the strike was announced. Teachers filled the galleries, halls and rotunda of the Capitol all week as the Governor came out of hiding and tried to negotiate an end to the teachers’ strike that has garnered national attention from MSNBC’s ALL IN, to the New York Times. 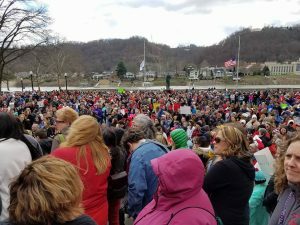 Teachers in both Pittsburgh, PA and neighboring Kentucky are reportedly considering strikes of their own. 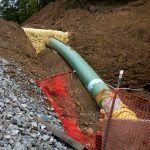 West Virginia is in the spotlight in this historical moment and many are predicting that this is the beginning of a new revival of labor and grassroots power even as those on the other side are claiming it’s the death throes of labor. Let’s work to make it the former! 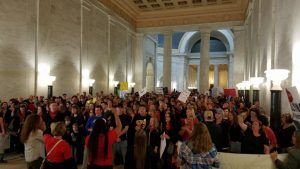 Public sentiment supports our teachers and service employees as demonstrated by a rally on the Capitol steps on Friday, where thousands of students and parents gathered to show their support for teachers. Parents and students rally in support of teachers and school service personnel at the Capitol on Friday. On Saturday the Senate, led by President Mitch Carmichael (R-Jackson), cut the 5% pay raise bill agreed to by the Governor and tried to send a 4% bill back to the House. Instead, they mistakenly sent the House’s original 5% pay raise bill back to them! 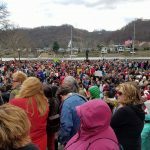 If House Speaker Tim Armstead (R-Kanawha) had just taken it up and the House had passed it again, teachers would have been back in school Monday. However, he returned it to the Senate where, after a fierce floor fight by Senate Democrats, Carmichael broke Senate rules to undo the mistake. When the actual 4% bill finally went the House, they refused it and called for a conference committee. So the ‘urination competition’ at the legislature over teachers’ pay continues. The teachers’ unions say the strike will go on indefinitely until they get the raise promised by the governor. Call Senate President Carmichael at (304) 357-7801 and tell him to quit playing politics and pass the 5% raise! We noted early on this bill (HB3089) would allow individual county school boards to select the textbooks kids will use. Unfortunately, this ill-conceived bill sailed out of the House in January but is still parked in Senate Education. After the historic conflicts over school books in our past, do we really want to open up this can of worms? HB4345 was passed over to the Senate at the last possible House session before Crossover. It would enact many of the Medical Cannabis Advisory Board’s recent recommendations designed to improve on last year’s bill. Senate Judiciary is expected to take this up early in the week and make it even better. Call committee members if you want them to include options like using the actual flower and allowing patients to grow a few plants for medicine. Also mention to them about the ‘Colorado Solution’ to fund the teachers’ pay raises and fix PEIA! Big Win on YOUR Electric Bill! Your calls and e-mails made the difference! We scored a BIG WIN this week when the Senate was unable to garner enough votes to pass SB 600! This was the proposal to let electric utilities make ‘sweetheart deals’ with big industrial users giving them steeply discounted rates. Of course this corporate welfare scam would have been paid for by higher rates imposed on the rest of us. A 17-17 tie vote killed this one! 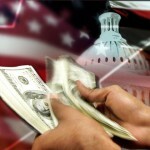 Click here to see if your Senator voted Yes or No to raise your bills! Let them know how you feel about it! Crossover Day, when all bills not passed out of their house of origin are dead, resulted in the demise of many bad bills. One of the ones we were happy to see die was SB 270, the dumb idea to log our state parks to pay for deferred maintenance and upgrades to park facilities. A better idea has emerged (SB438) to instead, dedicate a portion of state lottery revenue to pay off the bonds to be sold for making needed repairs to park facilities. Contact House Finance members with your support. However, please keep an eye on this new bill. As it moves through the process, amending logging back in is always a possibility. Nothing is really ‘dead’ until midnight the last day of the session…. 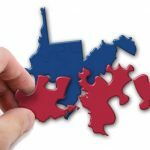 Now that Crossover Day is past, each house is now dealing mainly with bills that the other has already approved. Unfortunately, that includes HB 4001 that has been ‘parked’ in Senate Health Committee while they worked to send Senate bills over to the House. HB 4001 is the misguided attempt to cut-off certain ‘able-bodied’ SNAP (food stamp) recipients unless they find at least 20 hours work per week. Reminder, the DHHR’s own pilot study concluded this didn’t work and only succeeded in throwing nearly 5,000 off the program and overwhelming already stretched local food pantries. Besides, this is a total loss of lots of federal money coming into our poorest counties to boost our economy while fighting hunger. Call Senate Health Committee members, especially their Chairman Tom Takubo (R-Kananwha) and tell them to cancel the Hunger Games by tabling 4001. Guns Nixed on Campus, OK’d at Work? Killing Two Rules with a New One? The 2018 legislative session ends at midnight, Saturday, March 10th. We can’t wait for the carnage to be over! 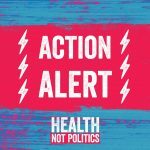 Watch for critical updates this week as bills we’re hoping to pass (and ones that we’d like to kill off) need your attention. Something else that we’d like to bring to your attention is the need to ‘keep the lights on’ as we fight for YOU at the sausage factory! Foundations don’t support lobbying so all our expenses for the fight for social, environmental and economic justice is funded by YOU our members and supporters. 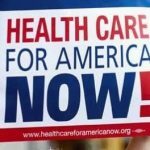 Please take a minute to make as large a donation as you can to keep this revolution going through Citizen Action! Be part of the solution! Thanks in advance!